Car control is intricate in the easy safety of you and your passengers. Your tires’ traction and grip on the road would also depend on the air pressure that is placed in those tires. In this regard, it is well advised that you give full attention and concern to your tire pressure. It is important that you ensure that the tires of your car are inflated to their proper pressure or PSI, which is the customary rating for air pressure inside a tire. This information can usually be found in the vehicle’s manual or on the driver’s side door jamb. When purchasing a new set of tires for your ride, make sure to do proper research or ask professional help and advice from your local auto maintenance shop regarding the proper tire pressure of the top new tires you have purchased. In this regard, if you would also decide to change the rims of your vehicle, the tire PSI would also, of course, be altered. 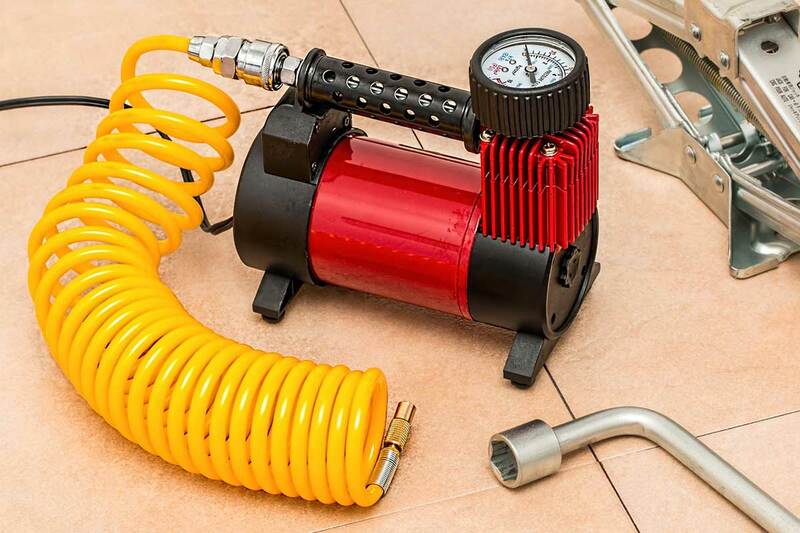 To make sure that you maintain the proper tire pressure on the tires on your vehicle, you should purchase even just an inexpensive and small tire air pressure gauge. You may obtain this intricate item for your vehicle in many of your local gas stations and auto parts shops. According to Autostribe, there are a lot of issues that may occur if improper tire pressure is not strictly followed. If your tire or tires are overinflated, they would become rigid, firm, and stiff, and its tread or contact patch would be reduced significantly. As a result, your ability to control and maneuver your vehicle would greatly decrease which can put you and your passengers be at risk. The dangers are the same with an underinflated tire. Your tire would also acquire certain damages when you would be coming into contact with potholes, rocks, and other debris that may be scattered or found on the road or pavement. An uncomfortable ride inside the vehicle would be experienced. Even worse, when driving at high speeds, your tire or tires may pop or bust due to the excessive air pressure present in the tire or tires, and hence, would result in an accident. An under-inflated tire or tires may also be a source of a lot of issues or problems for your automobile. The tire would eventually lose its proper form. There would also be a significant increase of rubber contacting the road, which would seriously reduce the life of your tire by as much as 25%. In addition to this, your fuel consumption would also be affected by around 5% or more due to additional power and energy needed to rotate the soft tire or tires and ultimately move the car. You will have insufficient control of your ride, especially when cornering. An uncomfortable and bumpy ride will also be experienced by everyone who is present inside your vehicle. When your under-inflated tire or tires would be unattended, they would eventually become close to a flat tire. These would result in significant damage to the tires as it would eventually have contact with the rim, hence, tearing out or greatly damaging the inner rubber material of your tire. Once this situation occurs, there is also a great possibility for your tire to pop and burst, resulting in an unwanted vehicular accident. The corrector proper tire inflation would result in the best handling and control of your automobile. You would also acquire the best fuel efficient which is a big factor nowadays as fuel prices tend to fluctuate and reach very high prices. It is advised by professionals that you purchase if within the budget range, a premium or high-end tire air pressure gauge to properly monitor your tire air pressure. Previous Post The Wait is Over; Pre-Order your Polestar 1 Now!